The Belo Monte Dam on the Xingu River in Brazil will be, once fully operational, the world's thirds largets hydroelectric complex. Belo Monte is highly complex. The project consists of two dams, one artificial canal, two reservoirs, of which one is on dry land and an extensive system of dikes, some big enough to qualify themselves as large dams. 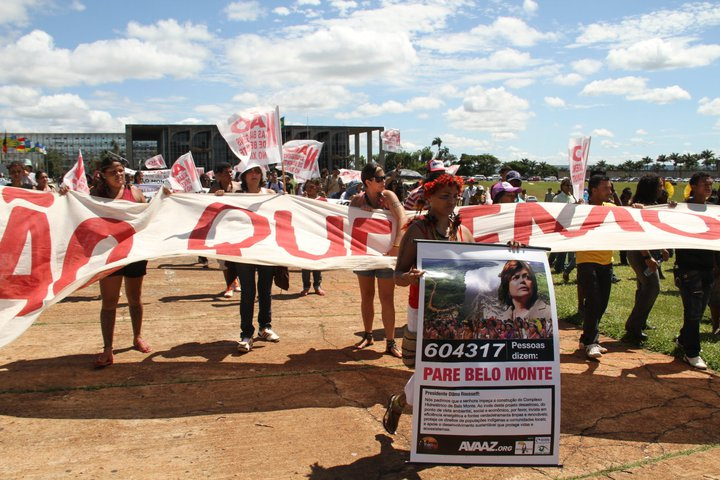 To build Belo Monte, more earth would have to be dug than was moved to build the Panama Canal. The sheer enormity of the project means that an area of more than 1,500 sq km would be destroyed, resulting in the displacement of 20,000 – 40,000 people. It would also mean grave impacts on the land and livelihood of 800 indigenous people and thousands of riverine and urban families. 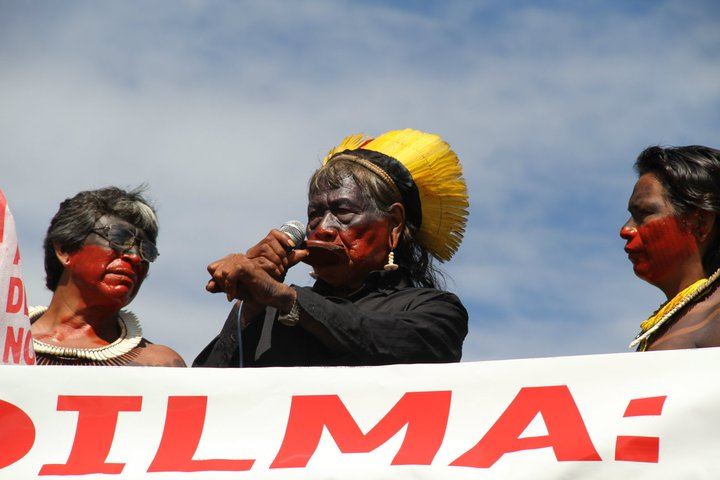 Belo Monte is one of the world's most controversial dams. 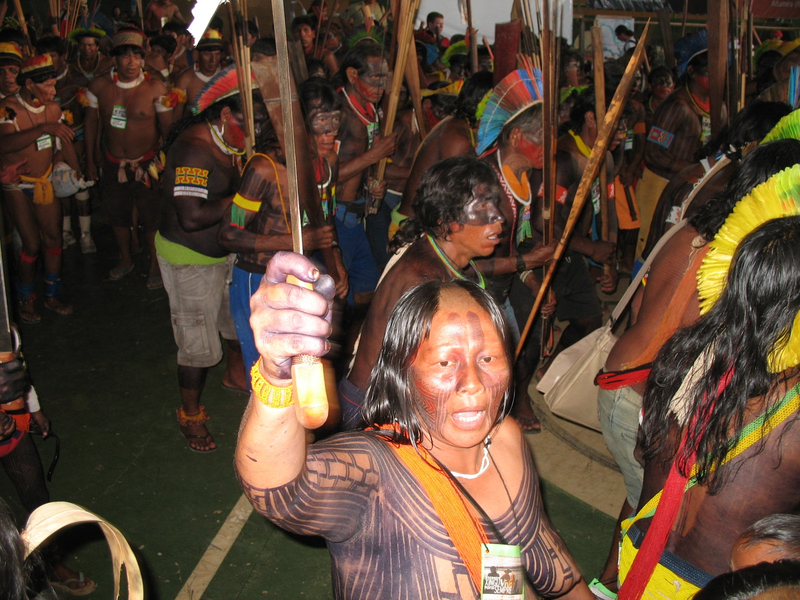 Indigenous peoples and social movements in the region have fought its construction for more than twenty years. 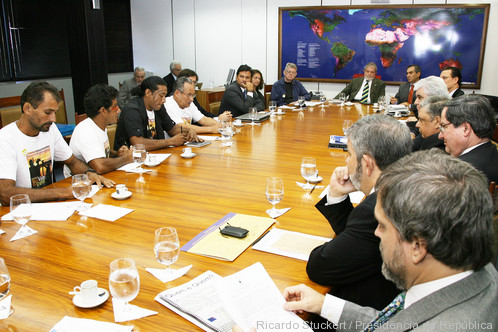 In July 2009, a delegation of groups opposing the dam met with Brazil's President Lula, who said he would review the project and promised "no one is going to shove this project down anyone’s throats". Yet the government is pushing the project at all cost, in violation of Brazilian law and despite the strong opposition. 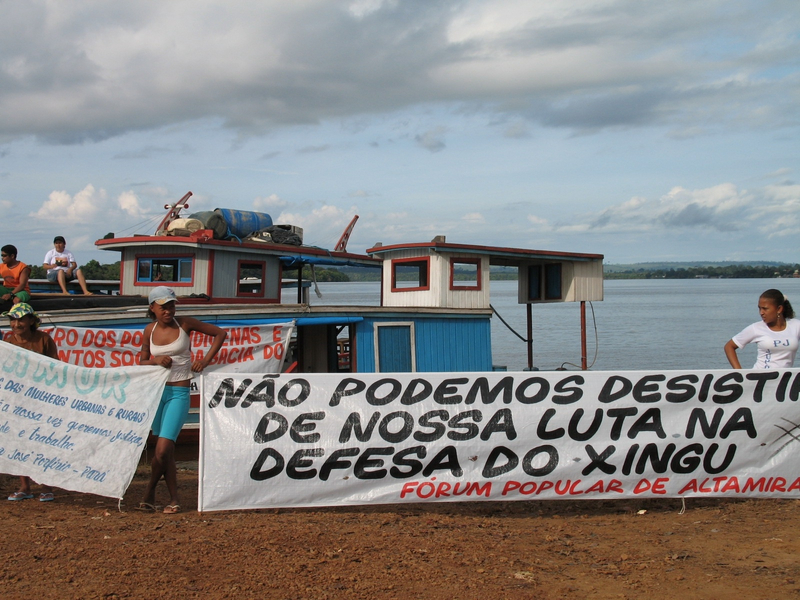 Originally, five huge dams were planned for the Xingu basin, which would have flooded 18,000 sq km of the rainforest. The dams were said to generate over 20,000 MW of electricity. The upstream dams would have stored water for Belo Monte, then called Kararaô, making it more effective in generating electricity. It would also mean flooding indigenous reserves and protected areas. 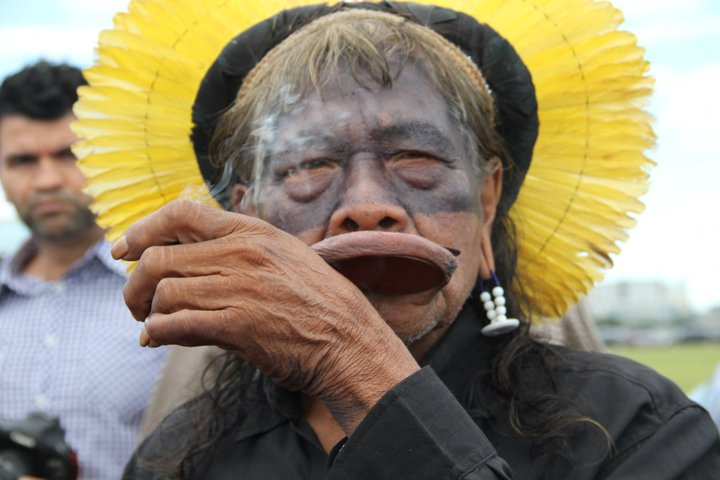 That proposal was rejected in 1989 after huge opposition from the Kayapo Indians. 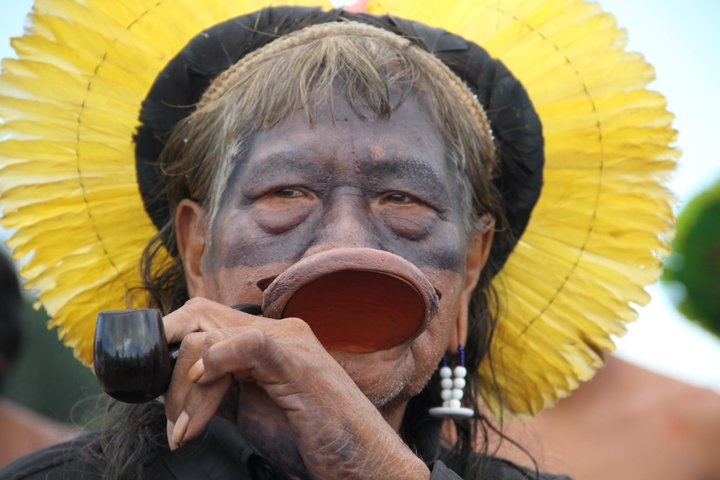 A worldwide movement, spearheaded by pop star Sting, rose to defend the Kayapo's land and rights. 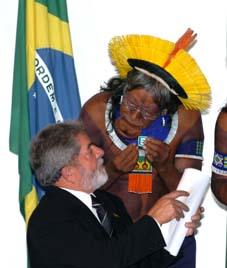 The Belo Monte plan was launched in 2002. 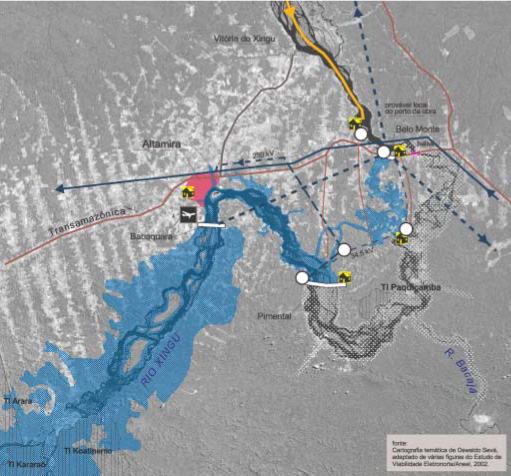 Under the new engineering design for this complex, more than 80% of the flow of the Xingu would be diverted down two huge artificial canals - each 500 meters wide - to the powerhouse, leaving the 100-km rocky stretch downstream, known as the Xingu's "Big Bend", high and dry. The powerhouse would have 11,233 MW of installed generating capacity, but would generate an average of only 4,500 MW. 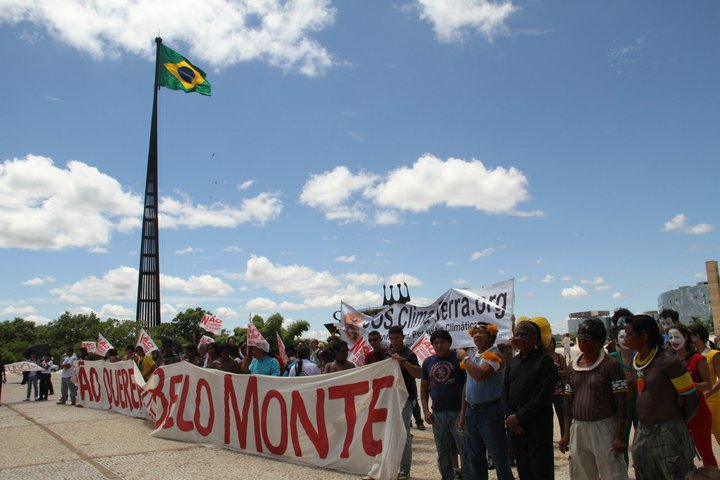 Belo Monte would operate at peak capacity for only a couple of months. 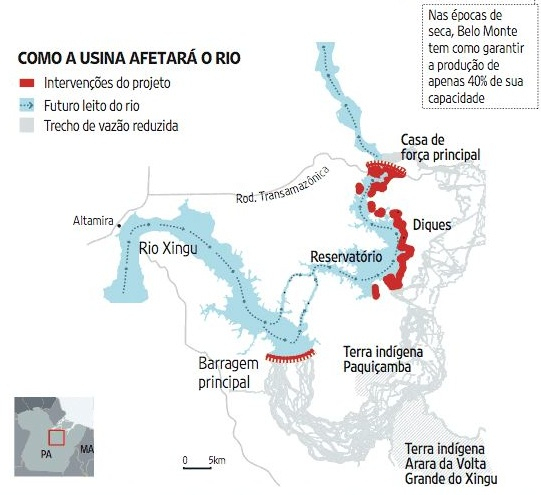 During the four to six-month-long low-water season on the Xingu, it would generate as little as 1000 MW of electricity. 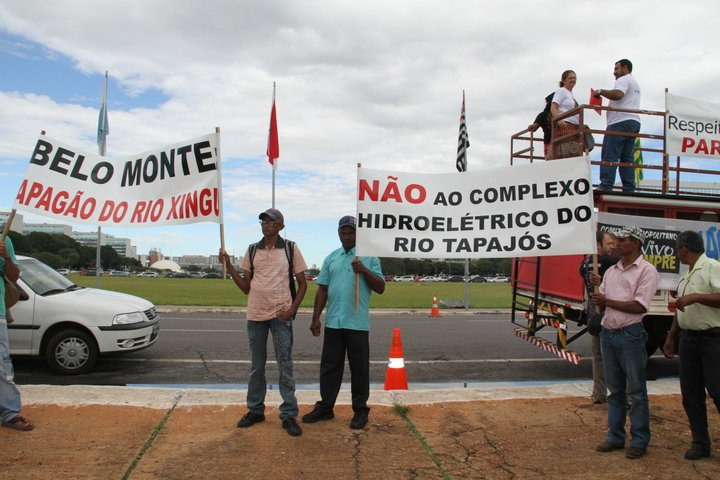 The project's extremely high cost and inefficiency and the river's large seasonal variations in flow have led many to believe that, after completing Belo Monte, Brazil will build other dams upstream with greater storage capacity to guarantee there will be enough water for Belo Monte to generate electricity year-round. 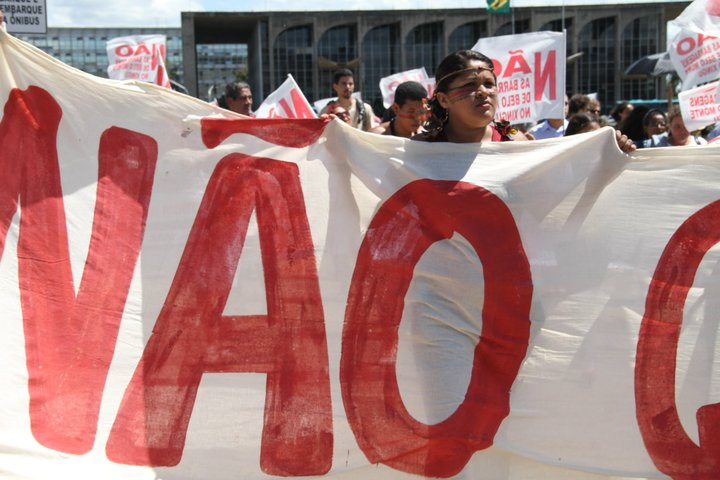 Banks must not finance the Belo Monte dam project. The financial viability of the project is too shaky; the lack of private investment signals a high risk on returns that the government is only able to absorb by pushing down interest rates and utilizing funds meant to pay down the public debt, such as the Fondo de Amparo ao Trabalhador (FAT) and public pension funds. Drawing from these funds will cause considerable social unrest amongst the Brazilian public, who will be left to judge the risk involved in trading off the availability of public funds for granting energy subsidies to electro-intensive industrial sectors like mining and construction. Meanwhile, estimates of the total cost of Belo Monte have reached as high as BRL 44 billion (USD 25 billion) due to increasing environmental and social costs involved in the project. 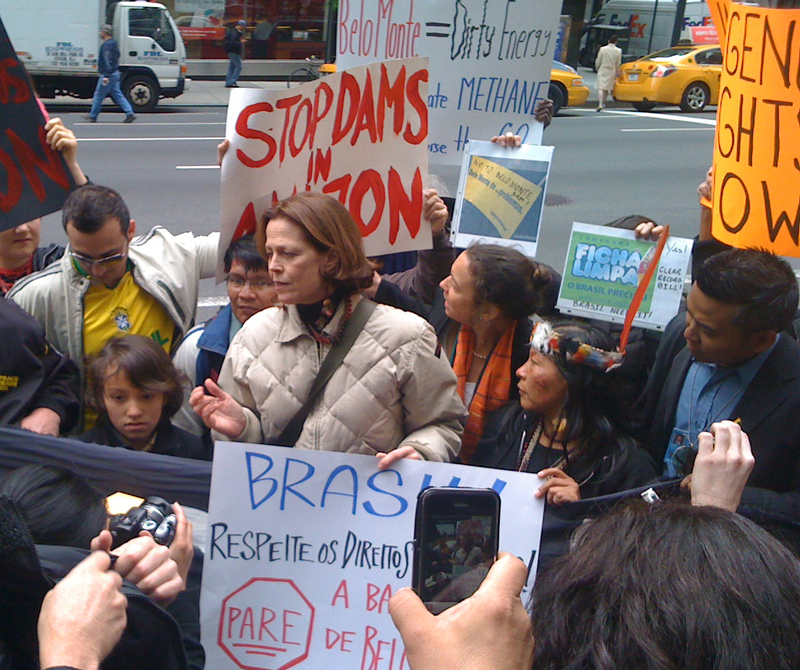 The financial risk with this project, the meager amount of energy produced throughout the year (only 39% of the dam's capacity without building further dams upstream), and the social risk involved in financing a project that has gained international notoriety for its impacts on indigenous people, are reasons enough for banks to refrain from financing the project. 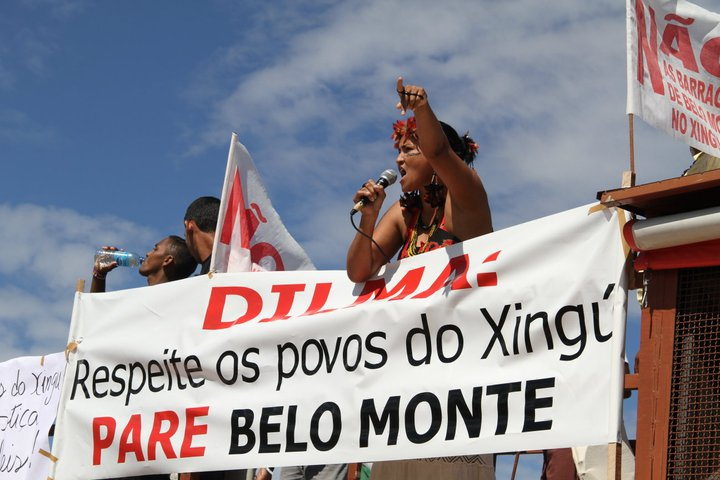 Indigenous people Belo Monte would directly affect indigenous communities living along what is known as the Xingu's "Big Bend". 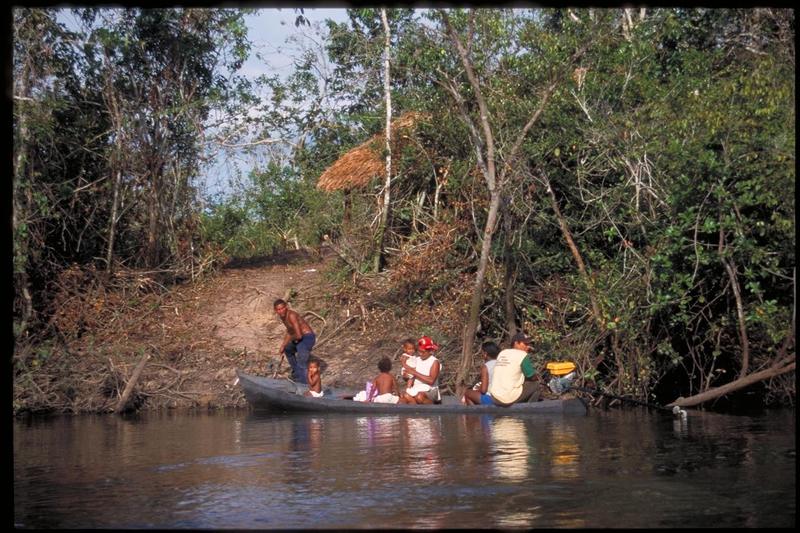 About 800 indigenous people from the Juruna, Xikrín, Arara, Xipaia, Kuruaya, Kayapó and other ethnic groups live in this region. José Carlos Arara, who met with President Lula in July to voice his concerns, told the President: "our ancestors are there inside this land, our blood is inside the land, and we have to pass on this land with the story of our ancestors to our children. We do not want to fight, but we are ready to fight for our land if we are threatened. We want to live on our land in peace with all that we have there". A panel of forty independent experts that analyzed the project's environmental impact assessment (EIA) found that, since the Big Bend would receive less water than at any time in its history, fish stocks would be decimated. Some species found only in the Big Bend would likely to become extinct. The drying of the Big Bend would make it impossible for indigenous communities to reach the city of Altamira to sell their produce or buy staples. The lowering of the water table would destroy the agricultural production of the region, affecting indigenous and non-indigenous farmers. It would also effect water quality. In all probability, the rainforests in this region would not survive. The formation of small, stagnant pools of water among the rocks of the Big Bend would be an ideal environment for proliferation of malaria and other waterborne diseases. Communities upstream, including the Kayapó Indians, would suffer the loss of migratory fish species, which are a crucial part of their diet. 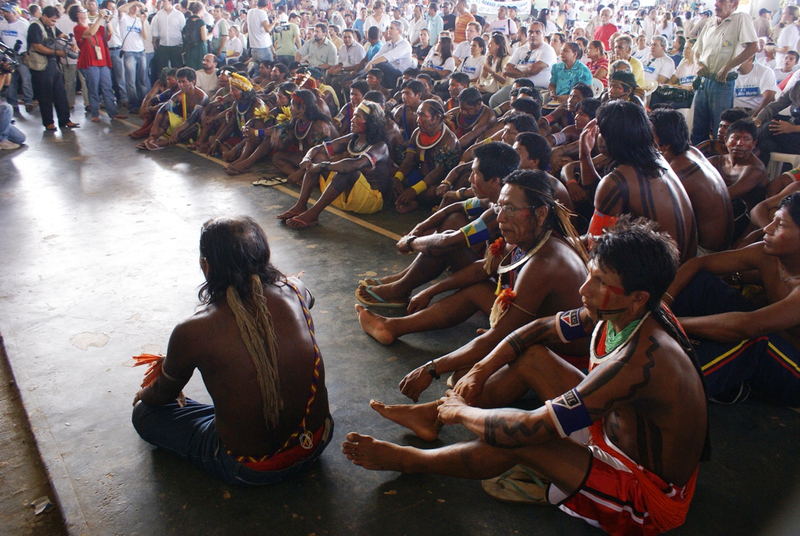 The Kayapó are bitterly opposed to the project and have vowed to wage war if the government proceeds. 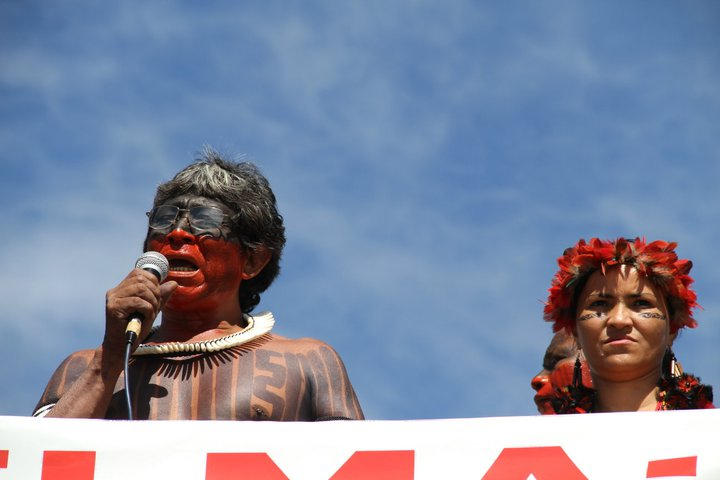 Riverine and urban people Officially 19,000 people would be displaced for Belo Monte, most in the city of Altamira, but the independent review of the project found the real number of directly affected people could be twice the official estimate. Contrary to what would happen in the Big Bend, Altamira’s water table would become saturated, leading to flooding throughout the city during the rainy season. More than 100,000 migrants are expected to arrive in search of work. Riverine families who have lived off of fishing and smallscale agriculture on the Xingu for decades would be forced to relocate to Altamira. They would compete with migrants for very few jobs, most of them low-paying. Given the limited infrastructure in the towns and villages in the region, it is expected that the vast majority of the migrants who do not find work on the dam would seek land in rainforest areas, leading to widespread deforestation and impacts on fish and wildlife, in addition to the invasion of indigenous lands. 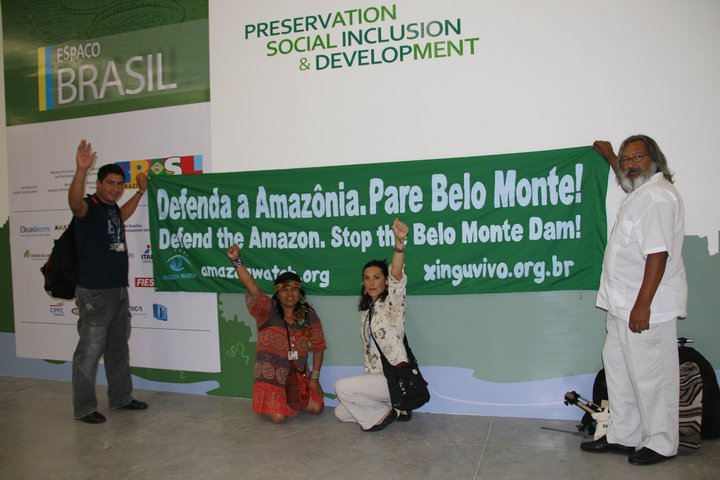 Biodiversity Belo Monte would affect biodiversity over an extensive area of the central Amazon. The rich flooded forests of the Big Bend and middle Xingu would no longer receive seasonal floodwaters. Besides affecting endemic and migratory fish species, it would seriously affect aquatic and land fauna, including endangered species such as the white-cheeked spider monkey and black-bearded saki monkey. Threatened turtle species downstream would lose their breeding grounds. Climate change Belo Monte is being proposed as a renewable energy project and an important part of the country's commitment to reduce emissions by 38% by 2020. Yet reservoirs in tropical forests like the Amazon can themselves be significant sources of greenhouse gas emissions due to decomposing vegetation. According to Philip Fearnside, Brazil's foremost expert on reservoir emissions, Belo Monte is unlikely to be a standalone project due to its low generating capacity in the dry season. Fearnside therefore assumes that the Babaquara Dam – a much larger storage dam – will be built upstream. According to Fearnside, during the first ten years of operation, the Babaquara and Belo Monte dams combined, would have emissions four times higher than an equivalent fossil-fuel plant. After twenty years, the project would still have 2.5 times the emissions of a fossil-fuel plant. Even discounting its massive social and environmental impacts, the project can hardly be seen as clean. 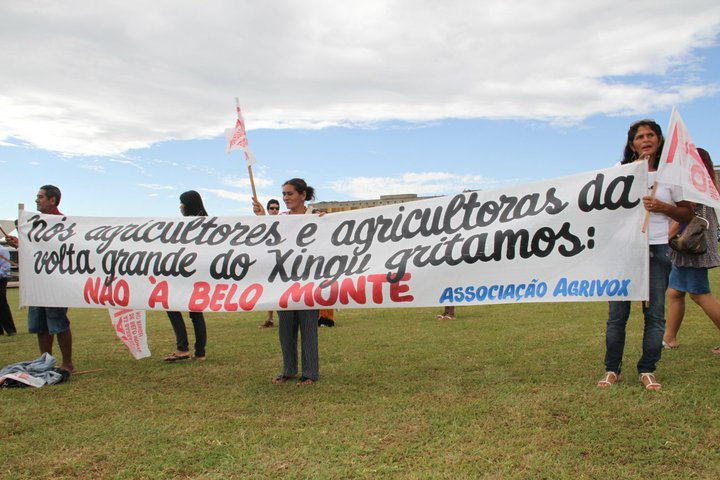 The indigenous people of the Xingu Basin claim that they were never adequately consulted about the project, in violation of their Brazilian constitutional rights and their rights to free, prior and informed consent under international law. Opponents of the project have received death threats and have been subjected to initimidation. Transmission lines would be constructed to connect Belo Monte with the central grid, meaning that the electricity from Belo Monte could go nearly anywhere in Brazil. But it is most likely to go first to expanding aluminum, iron, and other smelting operations in the Amazon such as Juriti, Carajas, and Paragominas, owned by Alcoa and Vale. The energy would also fuel the powerful industrial sector in southeast Brazil, which consumes 28.6% of all electricity in the country, mainly in São Paulo and Minas Gerais. 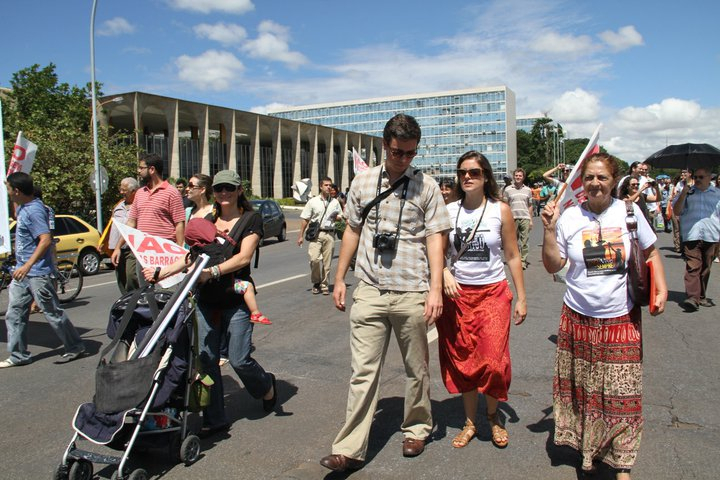 Alternatives Considering Belo Monte's astronomical cost, even without accounting for its social and environmental impacts, Brazil would be well-advised to give greater priority to less destructive alternatives. A study by WWF-Brazil, published in 2007, showed that by 2020, Brazil could cut the expected demand for electricity by 40% through investments in energy efficiency. 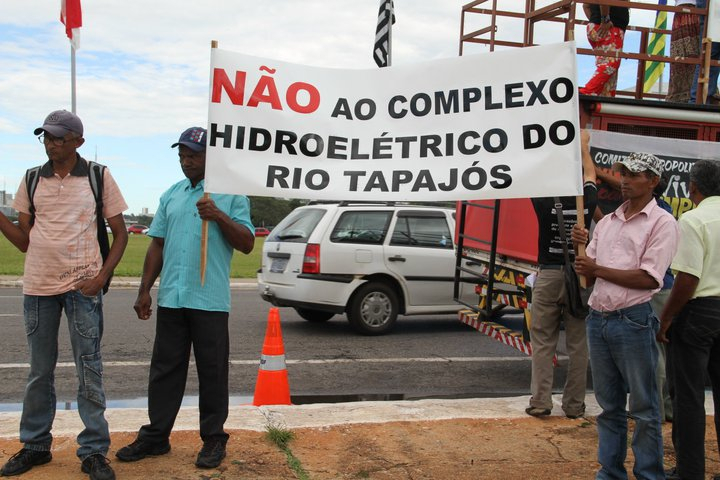 The power saved would be equivalent to fourteen Belo Monte hydro electric plants. This would result in national electricity savings of up to USD 19 billion by 2020, and reduce installed capacity by 78,000 MW. WWF-Brazil's PowerSwitch Scenario would also generate eight million new jobs by realizing power generation from renewable sources such as biomass, wind, solar and small hydro. Thus avoiding the need to build dams in the Amazon. These renewable sources could account for 20% of the total electricity generated in the country by 2020. Brazilian company, Intertechne Consultores, has asked Aneel, the federal Agency for Electric Energy, to authorize viability studies to build three new dams in the Aripuanã river basin, the Sumaúma and Quebra Remo dams along the Aripuanã River itself and the Inferninho dam along its tributary, the Roosevelt River. The company has worked on several dams in the Amazon, including the controversial Belo Monte dam. The Aripuanã basin is considered one of the best-preserved regions in Amazonia with a high level of endemic plants and animals. While there are, as yet, no dams on the Roosevelt River, there are already four on the Aripuana, which is a tributary of the Madeira river, which flows north from Bolivia to join the Amazon at Itacoatiara (source Mongabay). The operating license for Brazil's 11.2-GW Belo Monte hydroelectric plant has been suspended by a federal court following allegations that the project's owners did not meet environmental requirements. 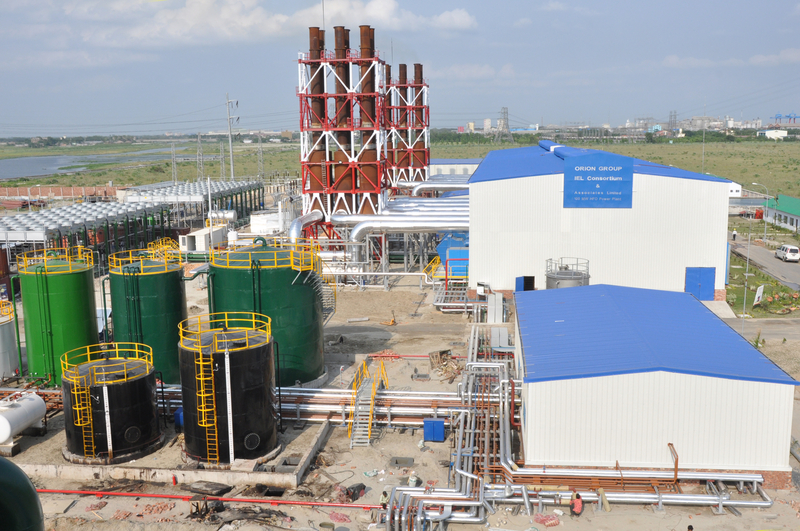 Per an agreement made with the Brazilian watchdog organization Institute of the Environment and Natural Resources (Ibama), developer Norte Energia SA was to have provided basic sanitation works in Altamira before filling the project's reservoir. Prosecutors said those works were never completed, causing the court to suspend the operating license yesterday. 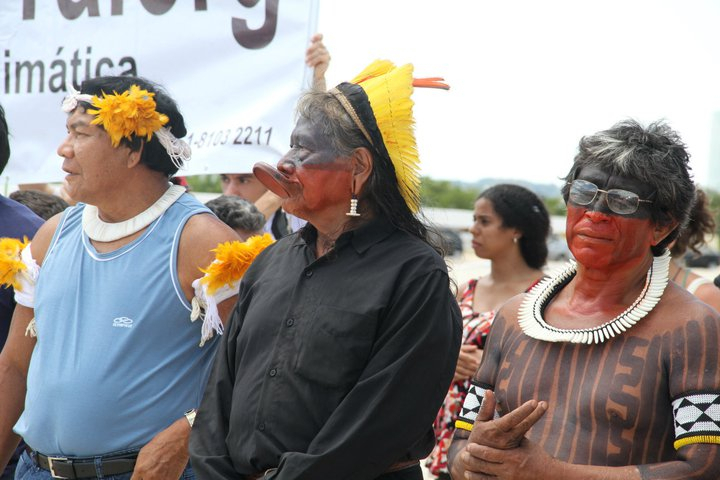 This suspension marks the second time Belo Monte's has had its license suspended on accusations of near-identical reasons (source Hydroworld.com). A Brazilian judge has suspended the operating license of the controversial Belo Monte dam in the Amazon because the Norte Energia consortium, the dam’s builder and operator, failed to meet a key compensation commitment required by the federal government. 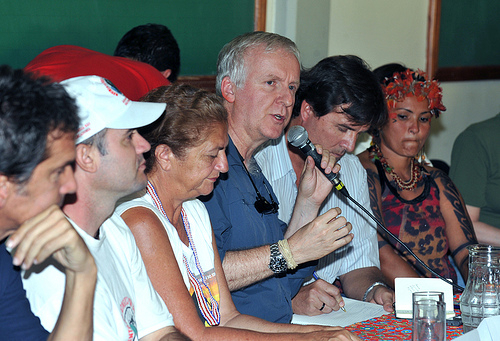 In exchange for the right to build and run the dam, Norte Energia originally agreed to install drinking water and sewage systems for the city of Altamira, with completion due in July 2014. The court allowed an extension to September 1, 2016, but the system is still not complete (source Mongabay). According to The Guardian: A senoir constuction executive has testified that the Belo Monte dam was used to generate USD 41.4 million in donations to the ruling coalition. The ruling Workers party and its former coalition partner, the Brazilian Democratic Movement Party, were allegedly paid USD 20 million each by the three construction companies. The companies initially lost the bid to build the Belo Monte, but were later added to the consortium. Although the authorities deny the payments and donations, conservationists and human rights activists state that this explains why the project went ahead regardless of the concers about the environmental and social impact. According to The Guardian: The start of operations at Brazil's Belo Monte dam could be held up following a court judgment that operators have yet to provide adequate support to indigenous groups affected by the giant construction. The world's fourth biggest hydropower plant was due to test its first turbines within weeks on a stretch of the Xingu river in the Amazon that is a centre of ethnic and biological diversity. But even as the reservoirs begin to fill, the controversy that has dogged the project since its inception continues unabated, raising the possibility that completion - already years behind schedule - could be further delayed. Blue & Green Tomorrow reports: "On Tuesday night, the Brazilian press reported that the country's Institute of Environment and Renewable Natural Resources (Ibama) had temporarily denied Norte Energia's request for an operating license for Belo Monte Dam. The reports cited serious examples of non-compliance with legally required measures to mitigate and compensate project impacts. Without the license, Norte Energia cannot close floodgates and fill a reservoir that will flood large portions of the city of Altamira before it begins generating power." Construction on the Belo Monte dam will resume due to the Brazilian Supreme Court's decision to overturn the suspension of the project. 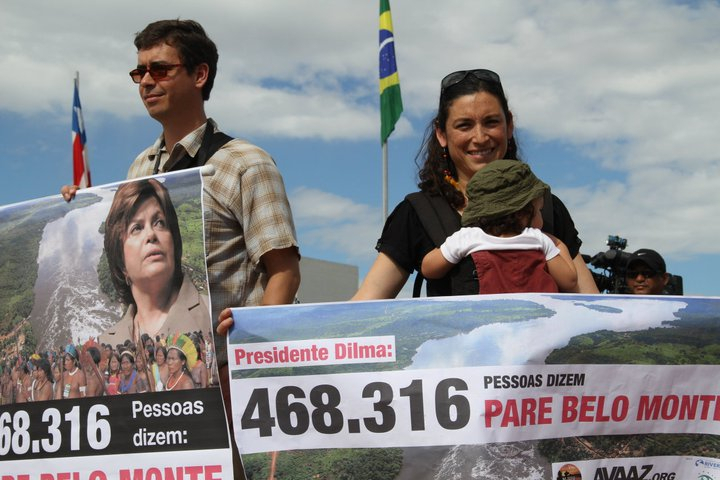 Pressure from President Rousseff's administration contributed to the overturning of the August 14th ruling by a regional federal court to stop construction of the dam. For more information please click here. The construction of the Belo Monte dam in the Amazon region of Brazil has come under heavy criticism, because of the impact the dam may have on the environment and local residents. Experts anticipate that it will have adverse effects on the Amazon rainforest, particularly on species diversity and also on the livelihoods of the indigenous inhabitants. Due to its involvement in this project, Munich Re has been excluded from the Global Challenges Index (GCX). By agreeing to provide cover for the construction phase of the project, the reinsurer violated the GCX’s strict environmental regulations. The UK retailer J Sainsbury has taken Munich Re’s place in the index. The retailer’s impressive credentials include a good system for ensuring compliance with social standards in the supply chain. It promotes the sale of products which meet particular social or environmental requirements, such as fair trade products. It has implemented comprehensive measures to improve transport efficiency and thereby cut CO2 emissions. Another company promoted to the index is the US food producer Hain Celestial. The company generates the bulk of its turnover from the production and sale of organic foodstuffs. Hain Celestial replaces the US technology company Energy Conversion Devices, which no longer meets the GCX’s market capitalisation requirements. 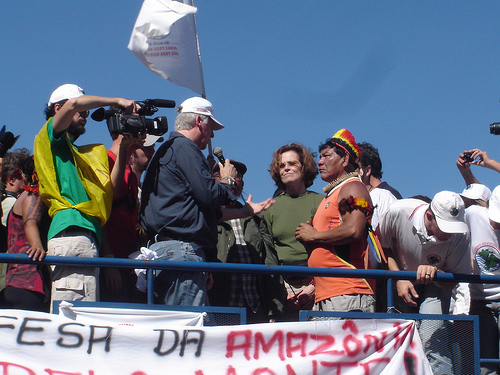 According to a report published by the Committee of Experts on the Application of Conventions and Recommendations for the International Labor Organization (ILO), the Brazilian government violated the rights of indigenous communities via their spearheading of the Belo Monte Dam project in the Amazon region. 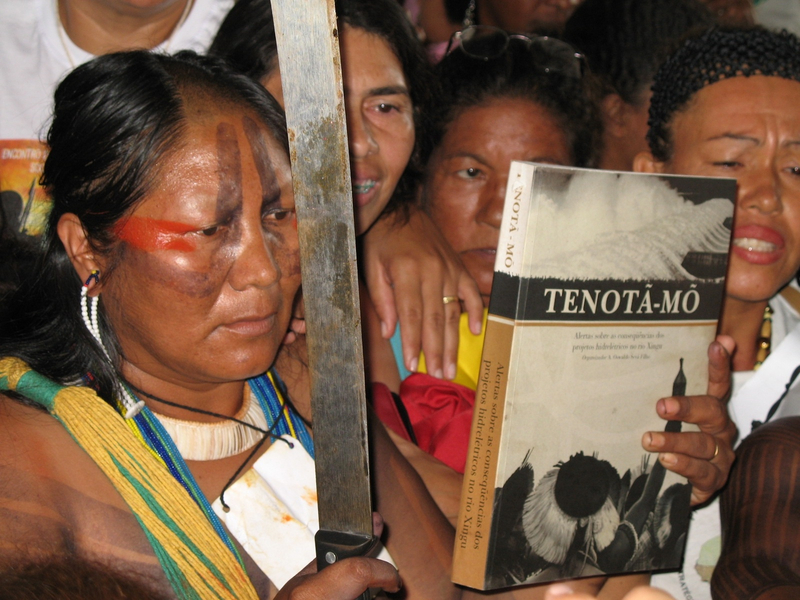 ILO Convention 169, which was enacted in Brazil in 2004, states that indigenous and tribal people have the right to free, prior and informed consultation with regards to projects and/or state actions that may impact their property or rights. 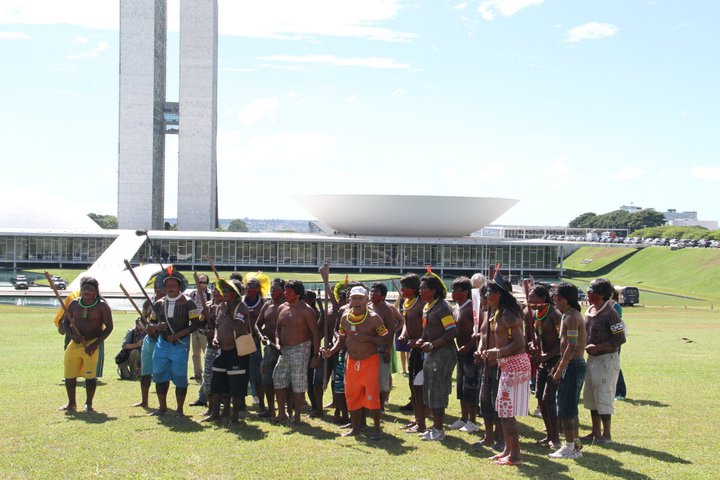 In light of the lack of consultation with tribal groups, the report outlines recommendations that the Brazilian government can take in order to adhere to the Convention's requirements. Please click here for more information. 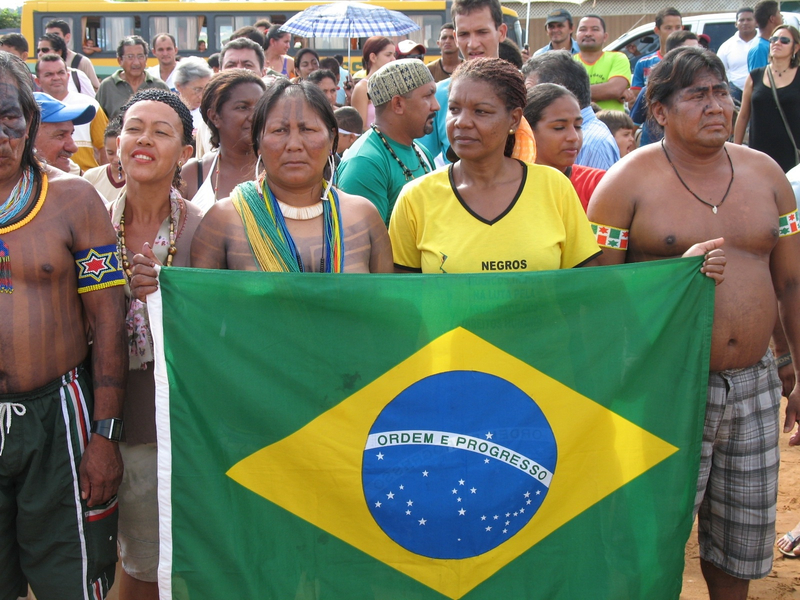 On October 27, 2011, the Belo Monte Dam construction site was occupied by 400 indigenous people, fishermen and riverine community members. 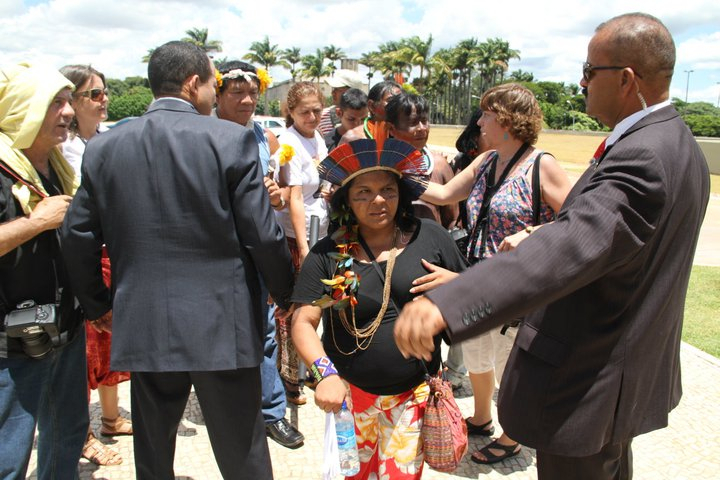 They oppose the project due to its severe environmental impacts and human rights violations. Norte Energia, S.A. ordered the military police to clear the area, which took place the following day. 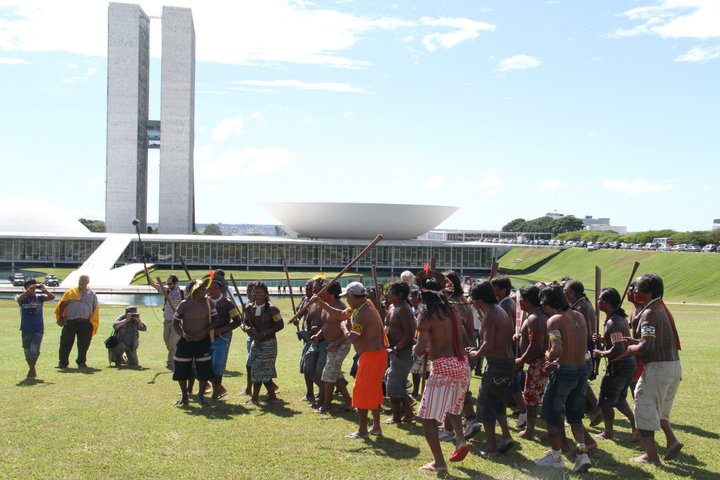 In October, a lawsuit, regarding lack of prior consultation which affected indigenous communities, began trial in the Brazilian Regional Federal Tribunal. 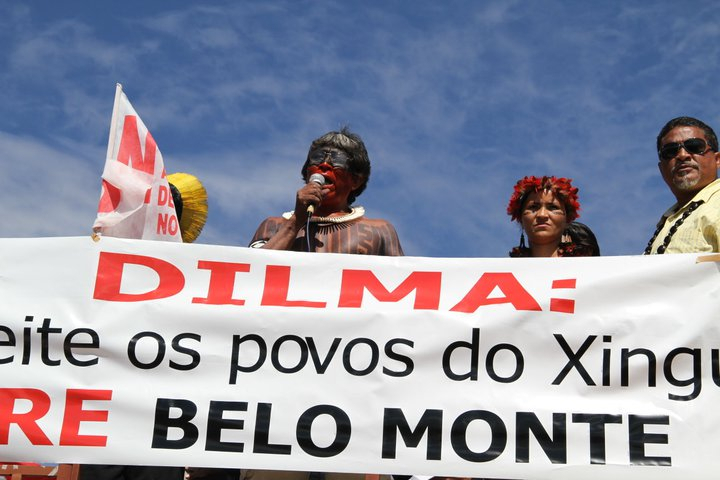 Federal judge Selene Maria de Almeida argued that the Belo Monte Dam licenses are illegal and must be cancelled due to evidence that the Brazilian government did not hold proper consultations. A second judge argued to the contrary. A third judge also argued to the contrary on a decision given November 9, 2011. 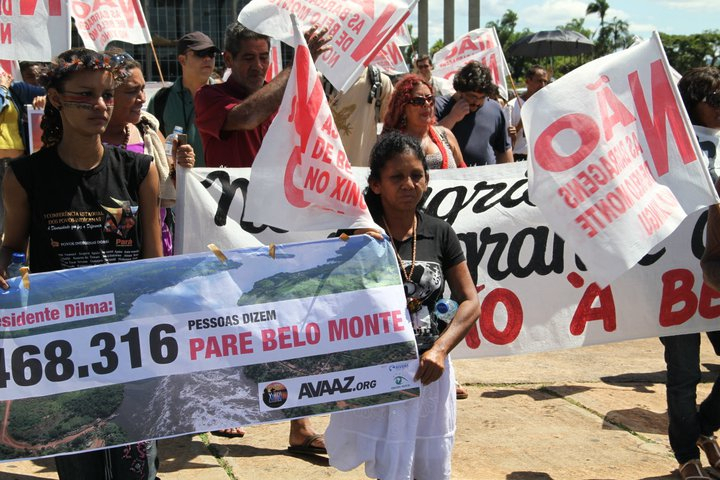 There are currently at least 12 lawsuits pending in Brazilian courts pertaining to Belo Monte Dam. 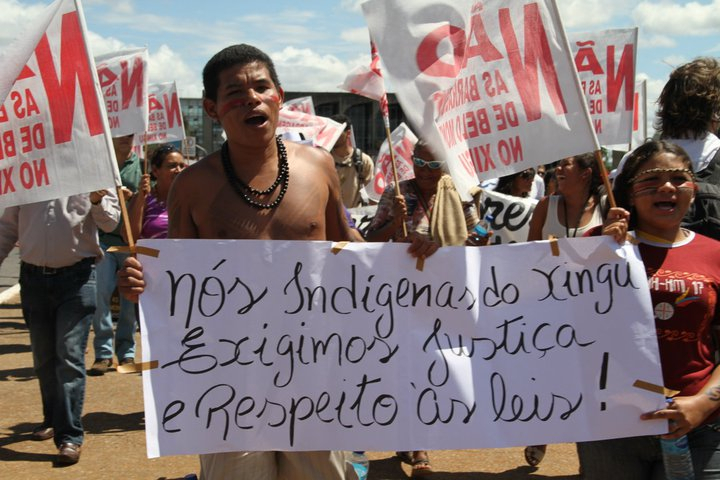 The IACHR of the Organization of American States is currently weighing the possibility of an action against the Brazilian government for having failed to undergo thorough consultations of affected indigenous communities. 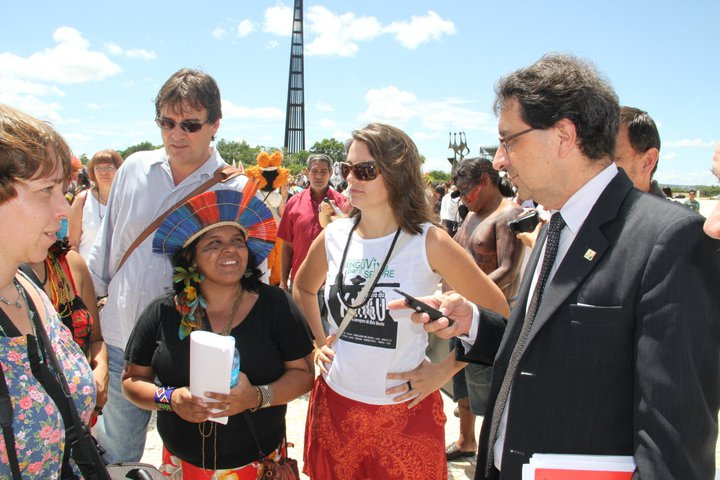 On June 1, the Brazilian government approved an Installation License for the controversial Belo Monte Dam in the Amazon. The environmental agency IBAMA approved the Installation License without project developer Norte Energia (75% owned by the government) fulfilling the 40 social-environmental prerequisites to the project that had been mandated in 2010. There is now an 11th lawsuit as a result (read more). 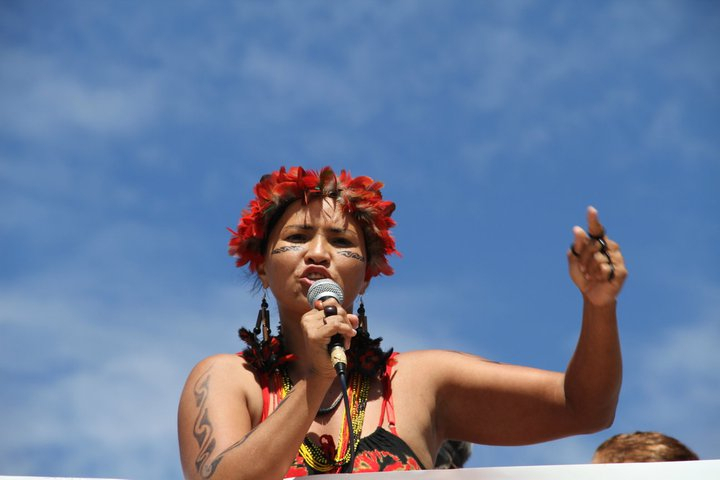 After news of the installation license was released over the internet, street protests against Belo Monte began to erupt in São Paulo, Rio, Salvador, Belém, and in the Xingu basin itself, where last weekend legendary Kayapó chief Raoni convened men and women from the tribe to protest in the town of Colider, dancing and chanting war songs, vowing to put their lives on the line to resist Belo Monte (read more). 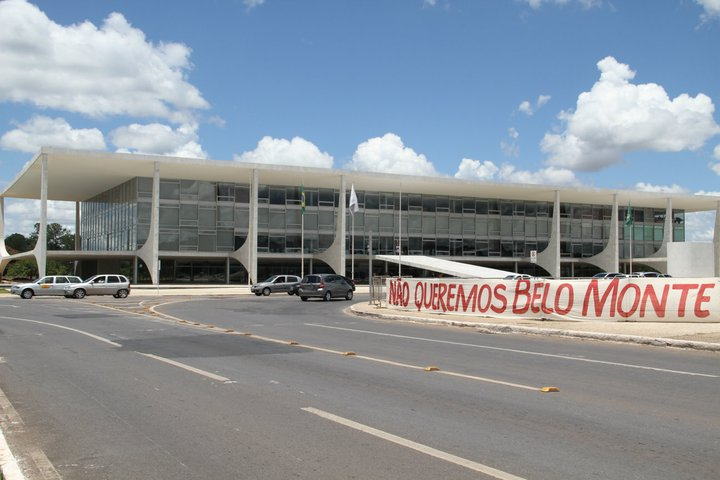 On February 25, judge Ronaldo Destêrro of a Federal Court in Belém suspended IBAMA's partial license, halting any construction efforts, and preventing BNDES from releasing any funds, until the 40 conditions of the dam's environmental license were met. In February 2011, Curt Trennepohl subsituted Americo Tunes as the new president of IBAMA. In January 2011, Abelardo Bayma Azevedo resigned as President of IBAMA, over pressure to approve an Installation License for Belo Monte Dam. In February 2011, interim IBAMA President Americo Tunes approved a "partial" installation license, considered illegal by Brazilian lawmakers, and issued authorizations to begin vegetation clearing in the project's easement areas. Eletrobras announced in August, 2010 that it would purchase 30% of electricity from Belo Monte destined to both the free market and the autoprodutor market, and then resell to the autoprodutores, so as to insure that the electricity would have a buyer (source: O Globo). The government has assigned 70% of Belo Monte's electricity (3093 MW) to the captive market for public consumption, at a price of R$78 (around USD $45) per MWh. 20% of the electricity (884 MW) will be bought by Eletrobras at a price of R$130 (around USD $74) per MWh to be sold on the free market. The remaining 10% of the electricity (442 MW) is assigned specifically for consumption by autoprodutores, or energy-intensive industries who both produce and consume energy, at a price of R$100 (around USD $57) per MWh (source: Valor Econômico). The Federal Attorney General's office in Brazil is currently investigating the possibility that the auction was held before an appellate court lifted the third restraining order, which would make the auction results illegal. BNDES will fund at least 80% of the project costs (estimated between US$11bn and US$18bn), and the remaining 20% will be financed by the Norte Energia consortium. On May 25, 2010 three members of the consortium building the dam decided to pull out. Their reasoning for pulling out is based on what they deem "growing state control of the project". 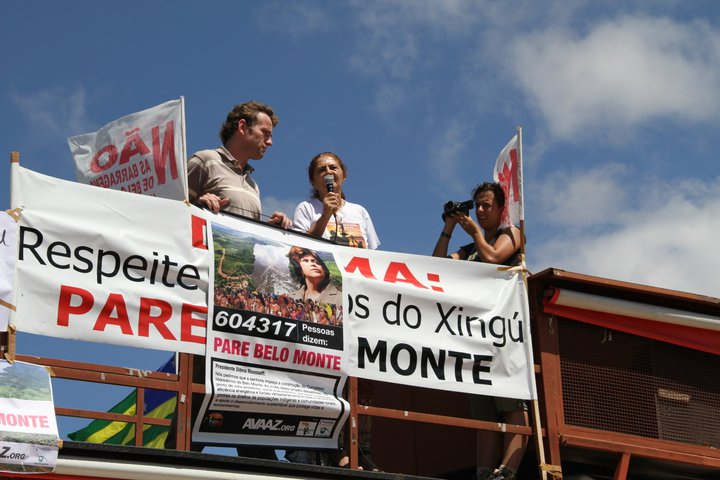 Despite three federal restraining orders to halt the project auction, on April 20, 2010 the Norte Energia consortium won the right to build the Belo Monte hydro electric dam on the Xingu river. The Norte Energia consortium is led by Eletronorte, a subsidiary of state-owned utility holding group Eletrobras, and currently includes the participation of 18 companies. R$500 million bridge loan - BTG Pactual approved a pass through bridge loan of R$500m to Norte Energia on March 12th, 2012. BTG Pactual was confirmed to approve a R$2 billion reais pass through loan to Norte Energía, as part of a R$22.5b loan from BNDES. Banco do Brasil may fund R$5.5 billon ($3.2 billion USD), or about 30% of Belo Monte's stated cost. source: Valor Economico, "BB empresta R$ 5,5 bilhÃµes para a usina de Belo Monte"
CEF approved a pass through bridge loan of R$1.3b to Norte EnergÃ­a on March 12th, 2012. Caixa Econômica Federal was confirmed to approve a 7 billion reais pass-through loan to Norte Energía as part of a R$22.5 billion loan from BNDES. shares/bonds underwriter or manager - IRB-Brazil Re is reported to cover 22% of the risk. shares/bonds underwriter or manager - MAPFRE is reported to cover 30% of the risk. source: Munich Re is reported to cover 25% of the risk. FI-FGTS will finance close to 5% of Belo Monte, through its 40% holding in J. Malucelli. source: Valor Economico, "Fundos se acertam em Belo Monte"
source: O Globo, "Bertin obteve R$280 milhoes do fundo FI-FGTS"
The World Bank disbursed an Environmental Development Policy Loan (SEM DPL) to the government of Brazil, with multiple objectives. One of them was to institute a social and environmental safeguards policy at BNDES, including a sectoral policy on dams. The sectoral policy was never adopted by the board, and BNDES never instituted a broad safeguards policy. Instead, the bank only adopted three sectoral policies on cattle, sugar-alcohol, and emissions from thermoelectric plants. BNDES approved a R$13.5 billion reais direct finance loan to Norte Energía, as part of a larger R$22.5b loan package that also consisted of pass throughs from Caixa Econômica Federal and BTG Pactual. BNDES approved a R$1.08b bridge loan to Norte Energia in December of 2010. 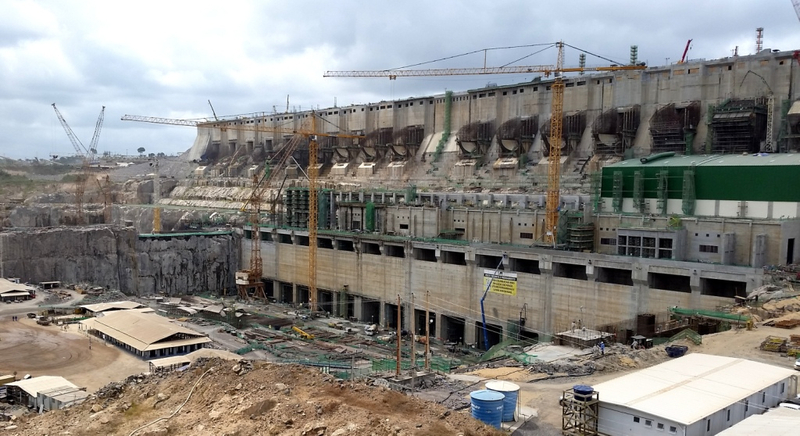 Alstom, Voith Siemens, and Vatech Andritz are utilizing BNDES' line of credit for hydroelectric machinery and equipment to subsidize up to 30% of their offer to supply turbines for Belo Monte. The companies each have manufacturing plants within Brazil. source: Folha de SÃ£o Paulo, "Europeus devem equipar Belo Monte"
An additional R$1 billion was destined for the purchase of hydroelectric machinery and equipment as part of a R$ 7 billion credit to increase the export of durable consumer goods. The line of credit stipulates that 60% of the products that utilize the credit must be produced nationally. source: O Globo, "BNDES terá linha de R$ 7 bi para exportação de bens de consumo. 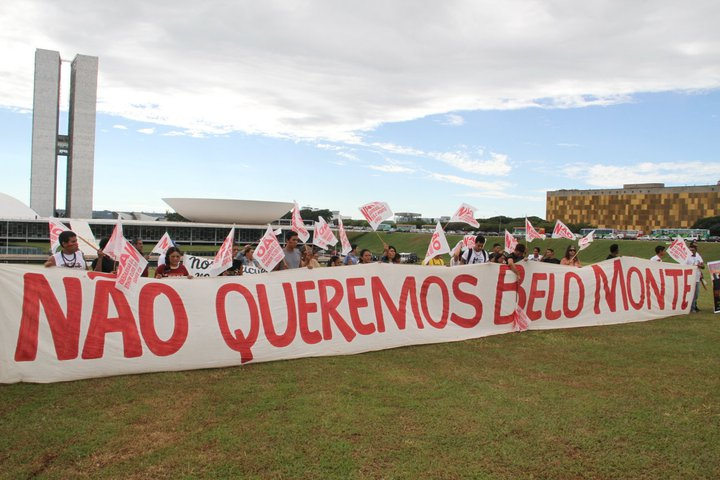 Linha para hidrelétrica ganha R$ 1 bi"
BNDES has publicly committed to funding up to 80% of Belo Monte, but can only legally fund 25% of its referential patrimony, or R$14.5 billion reais ($8.4 billion USD) of Belo Monte, in accordance with BNDES' adherence to the Basil Accords. BNDES is offering 30-year interest periods at 4%, way below the cost of capital. source: O Globo, "CMN aprova linha de R$ 7 bilhões para equipamentos de hidrelétricas"
source: EstadÃ£o, "Previ estÃ¡ entre socios de Belo Monte, diz Eletrobras"
source: O Globo, "Funcef recupera perdas e pretende investir em Belo Monte"
Petros will directly finance 10% of Belo Monte. 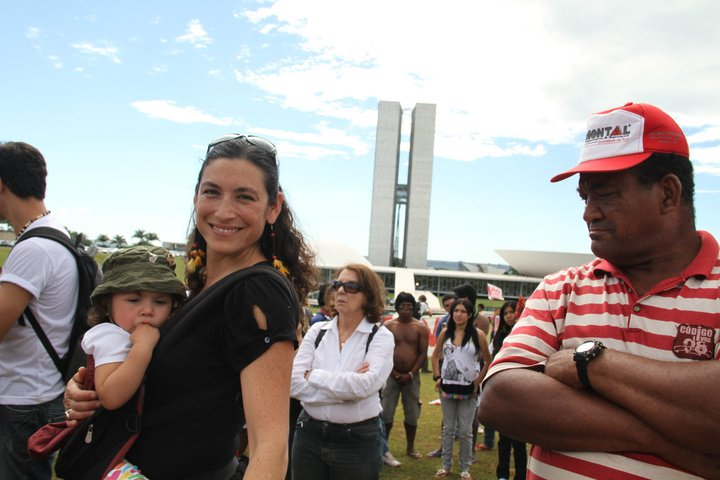 Petros has expressed interest in participating in Belo Monte. Previ will indirectly finance 10% of Belo Monte through a partnership with Spanish electric utility Iberdrola, in Bolzano ParticipaÃ§Ãµes (10%). Previ is reported to be interested in investing in Belo Monte. source: O Estado de São Paulo, "Fundos de pensão estatais terão 10% da usina de Belo Monte"
The eightteen members of the Norte Energia consortium are expected to fund the remaining 20% of the project that is not financed by BNDES, the Brazilian National Development Bank. *In March 2012 Munich Re was removed from the Global Challenges Index due to environmental standards violations. In Februari 2011 Alstom signed a EUR 500 million contract with Norte Energia to provide power equipment. In February 2014 it was negotiating a contract to deliver equipment for the transmission lines. Andrade Gutierrez is part of the Belo Monte Construction Consortium (CCBM). Arcadis has signed a deal worth USD 146 million with Norte Energia S.A. to provide owner’s engineering services. The Norway-based consulting, design, engineering and management services company will carry out its work via its Brazilian subsidiary, Arcadis Logos, and joins Themag, Concremat and Engecorps as part of a consortium. Camargo Corrêa is part of the Belo Monte Construction Consortium (CCBM). Cemig and Light hold a 9.77% stake in the Norte Energia Consortium under the name Amazônia. CHESF holds a 15% stake in the Norte Energia Consortium. Eletrobras holds a 15% stake in the Norte Energia Consortium. Eletronorte holds a 19.98% stake in the Norte Energia Consortium. Won concession to implement 2000 km of transmission lines from Belo Monte to the south of Brazil, an investment worth BRL 5 billion. The Norte Energia Consortium is the stakeholders' consortium of near 18 companies that is responsible for project implementation. They are not directly responsible for construction. 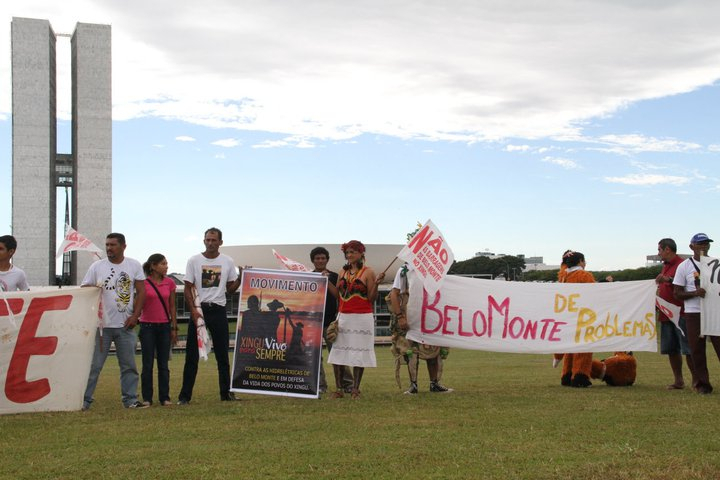 OAS is part of the Belo Monte Construction Consortium (CCBM). Odebrecht is part of the Belo Monte Construction Consortium (CCBM). Sinobras holds a 1% stake in the Norte Energia Consortium. Vale holds a 9% stake in the Norte Energia Consortium. Won concession to implement 2000 km of energy transmission lines from Belo Monte to the south of Brazil, an estimated investment of BLR 5 billion. Why is Latin America so obsessed with mega dams? 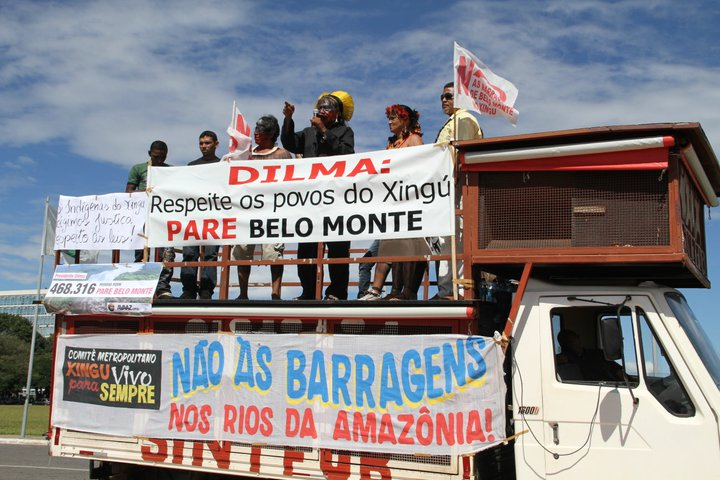 In Defense of the Xingu: Against Belo Monte! 2010-04-28 00:00:00 | Amazon Watch, et. al. 2013-05-08 12:17:23 - Damocracy is a powerful new documentary that debunks the myth of large-scale dams as clean energy and a solution to climate change. It records the priceless cultural and natural heritage the world would lose in the Amazon and Mesopotamia if two planned large-scale dams are built – the Belo Monte dam in Brazil, and Ilisu dam in Turkey. Damocracy is a story of resistance by the thousands of people who will be displaced, and a call to the world to support their struggle. 2011-04-28 12:21:07 - "Amazon Watch journeyed back to the Brazilian Amazon with James Cameron and this time, he brought Arnold Schwarzenegger. The team returned to the Arara village on the threatened Big Bend of the Xingu River and was met by hundreds of villagers, the legendary Kayapo Chief Raoni, world-renowned climate scientists and local movement leaders. 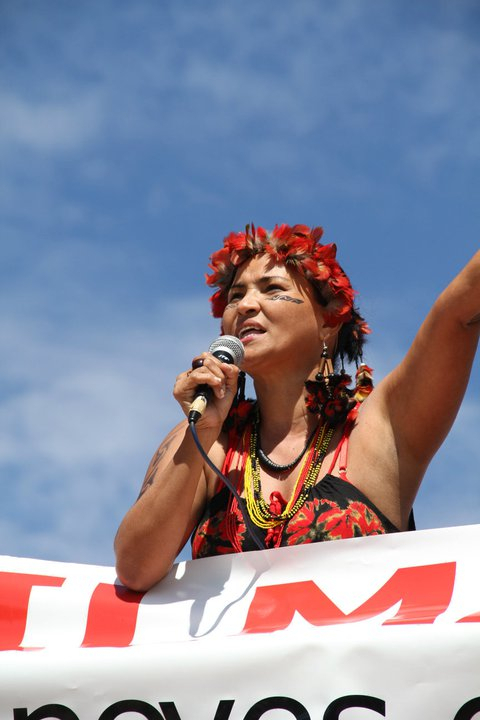 Their resounding message was the same: "We urge the Brazilian government stop the Belo Monte Dam and pursue truly renewable energy alternatives!" "
2010-10-05 16:04:20 - Take action now to join the battle: http://bit.ly/AWatch "A Message from Pandora" is a special feature produced by James Cameron about the battle to stop the Belo Monte Dam on the Xingu, one of the great tributaries of the Amazon River. A Message from Pandora is a special feature produced by James Cameron about the battle to stop the Belo Monte Dam on the Xingu, one of the great tributaries of the Amazon River. 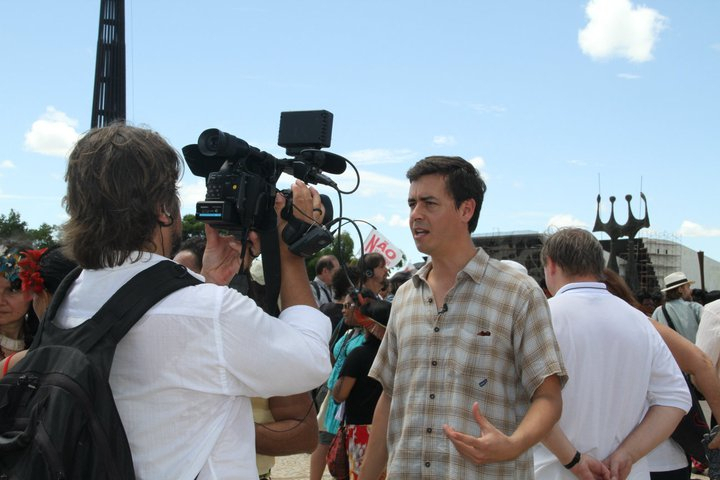 Belo Monte: After the Flood is a new film which explores the history and consequences of one of the world's most controversial dam projects, built on the Xingu River in the heart of the Brazilian Amazon.